Martha Coakley has announced she is working full-time for Juul. As Massachusetts' attorney general, she led the charge against e-cigarette companies. Massachusetts' former attorney general is now working for Juul years after leading the charge against e-cigarette companies. Martha Coakley was known as a lead crusader in the fight to end smoking when she served as the Bay State's attorney general. In 2013, when e-cigarettes entered the scene, Coakley was ahead of the curve. "We are very concerned with the introduction of a new product, unregulated, that will get a whole new generation of Americans potential he hooked on nicotine," she said at a press conference back then. 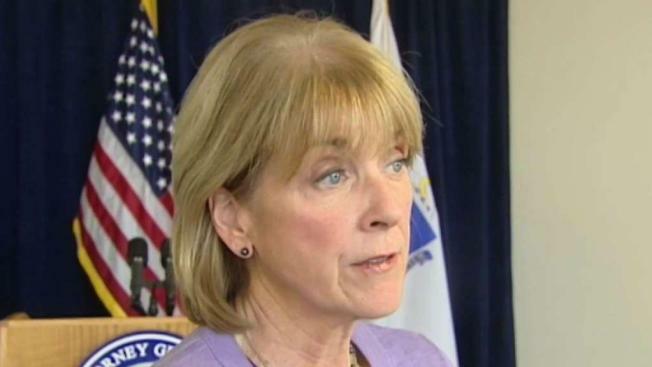 Many are now stunned to hear Coakley has left her job at the Foley Hoag law firm to work for Juul, a leading e-cigarette company. Marc Hymovitz of the American Cancer Society says his biggest concern is the Juuling epidemic among teenagers. In a statement to Politico, Coakley said that Juul "has an incredible opportunity to switch adult smokers," but Hymovitz is skeptical. "It's very clear with their fruit flavors, cotton candy, watermelon, that there truly targeting kids," he said. Steve Kerrigan was Coakley's running mate during her unsuccessful campaign for governor in 2014. He said it would be great if Juul went out of business, but he defended Coakley's career decision. "Would we be having the same conversation if she became a criminal defense attorney?" he asked. "Companies deserve good representation. I guarantee she'll give it." Still, with research showing 95 percent of adult smokers start before age 21, anti-smoking advocates said they hope Coakley's lobbying efforts are snuffed out. "They know if they don't get their next generation of customers early, they're not going to get them at all," said Hymovitz. Coakley hired Maura Healey, who succeeded her as attorney general, in 2007. "Juuling and vaping in schools has reached epidemic proportions, and our office will continue to investigate this company's role in creating this health crisis," a spokesperson for Healey said in a statement Tuesday. "This announcement has no impact on our efforts to keep young people healthy and safe in Massachusetts.